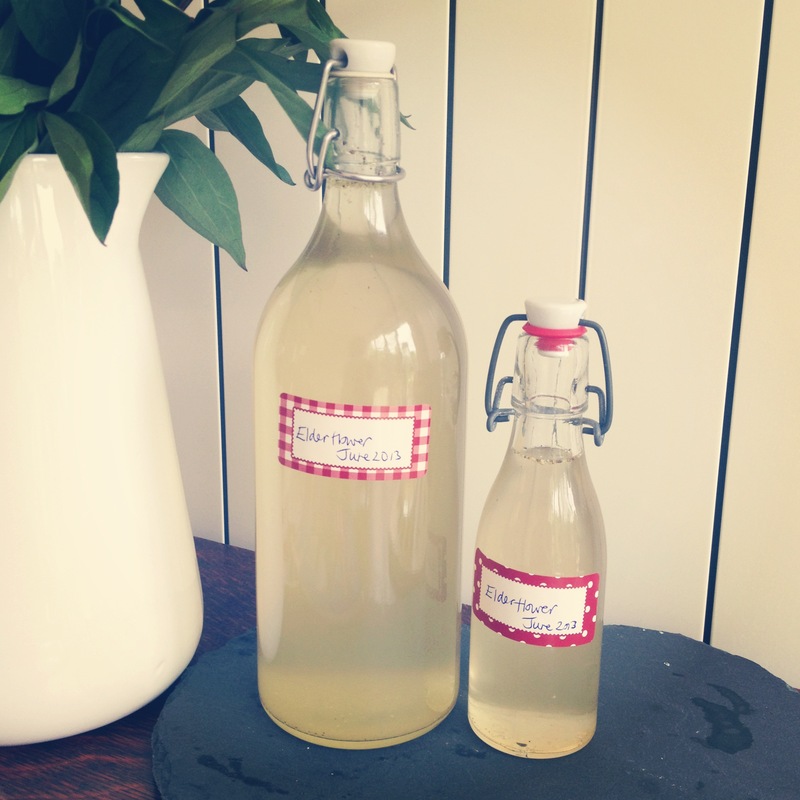 Elderflowers are out in abundance at the moment so now’s the time to stock up on some homemade treats and elderflower cordial is one of my favourites. It tastes so much better when you’ve made it yourself and it’s seriously easy to do too. It will keep for up to 6 weeks in your fridge. If I make lots I freeze and defrost as necessary. This stuff is also divine drizzled onto salad with a light olive oil. Make sure you’ve got some bottles to store the finished product in. I have built up a collection of really pretty antique cordial bottles from charity shops but you can buy them from places like Ikea, Robery Dyas and supermarkets too if you prefer new. Even if you have bought new bottles, they will need to be sterilized first which I do by running them through a glass wash cycle in the dishwasher. Do this as you’re ready to decant the cordial which is after it’s steeped for 24 hours. You can also do it in an oven. Heat the oven up to 180C (maximum) and put the clean bottles in for a minimum of 20 minutes but no more than half an hour. Allow the bottles to cool before you fill with the cordial. Don’t skip this step as it’s really important to ensure the bottles are clean and germ free. 1. 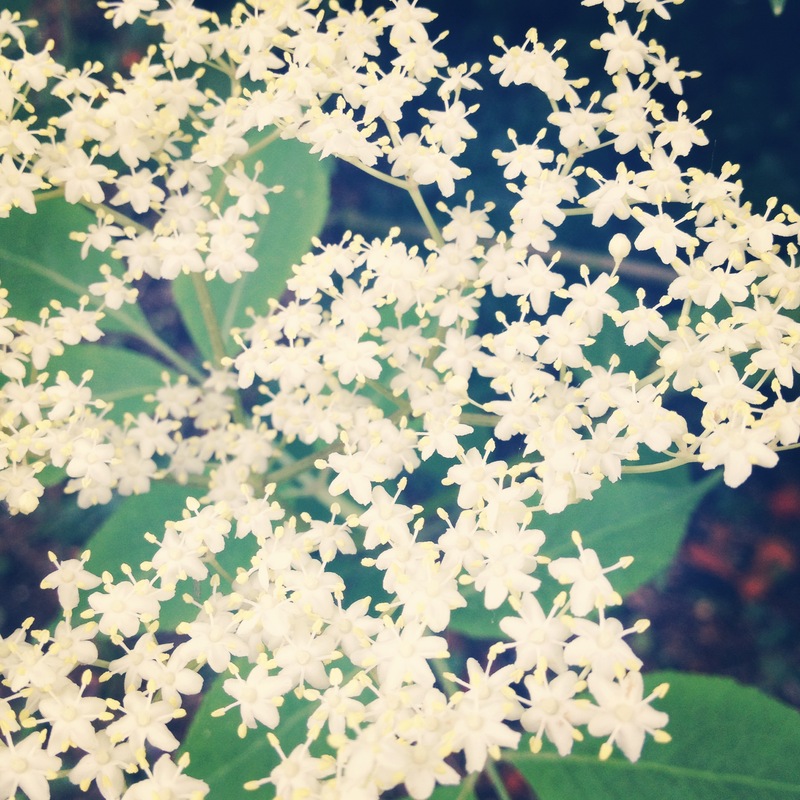 Gently rinse or shake the elderflowers to remove any little bugs. 2. Pour the boiling water over the sugar in a very large bowl or saucepan. Stir in well to help dissolve the sugar and leave to cool. 3. Add the citric acid, lemons/limes and finally the flower heads. I remove as much of the stalk from the flower as possible. Stir gently. 4. Cover and leave in a cool place for a minimum of 24 hours. You can steep the flowers for up to 48 hours occasionally stirring. It will smell gorgeous. 5. Strain through some muslin cloth or through a sieve and transfer into your sterilized bottles. 6. Keep in the fridge. I made the below at the weekend and bottled it up on Monday morning. Pity I didn’t stick the labels on straight! Mix with water (I love fizzy) and a slice of lemon – perfect when you’re a hot and bothered pregnant lady who desperately misses Pimms! I’ll be taking a stash of this to Glastonbury this weekend, I just won’t be adding my usual dash of vodka to the mix. Once you’ve mastered this, you can start to make your own variations. Try it with ginger!